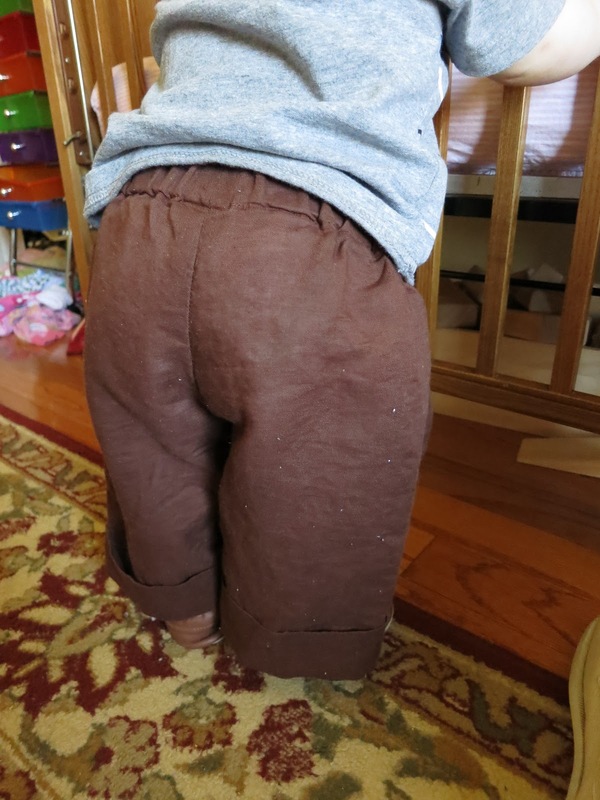 Linus has been in need of some pants, so last week when I had an opportunity to go to a fabric store, I found some brown linen (along with some other fabric still waiting for my attention) to make him some. I'm very happy with the way they turned out, and I am hopeful that he will be able to wear them for a long time. The pants are hemmed up several inches, in addition to the cuffs, all of which I hand stitched to be easily removed when the time comes. 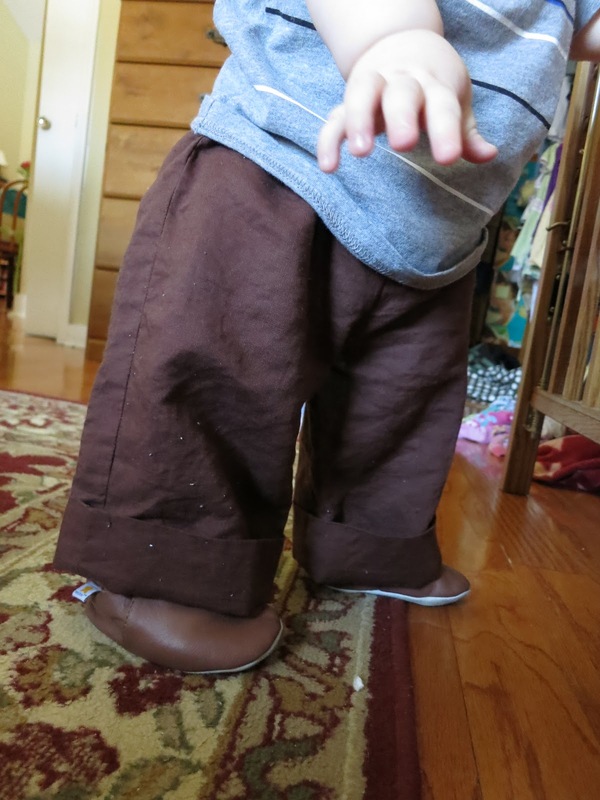 With only the narrow hem finishing the bottom edge of the pants, they would fit Lucy, so as long as they don't wear too badly in the wash, Linus should be able to wear these pants for a good long time. 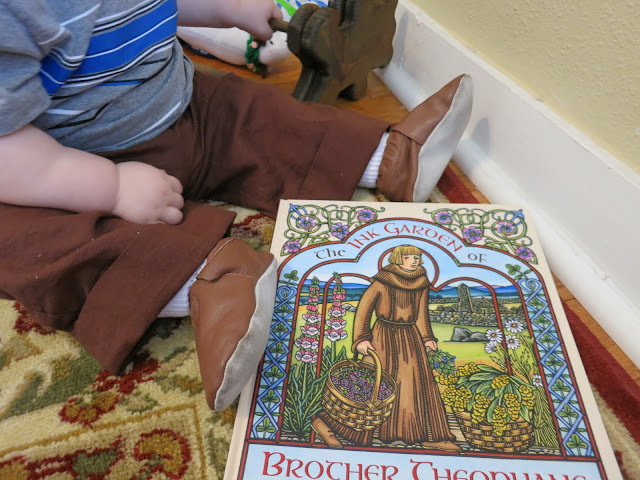 The Ink Garden of Brother Theophane by C. M. Millen is the story of a monk who is distracted from his chore of copying books by the beauty of the world outside his window. When he is sent to make the brown ink used by the monks, he discovers that he can make other colors. It is a beautifully illustrated book that Lucy requests over and over; Theophane is a current favorite. ** By the way, I am not an Amazon affiliate. 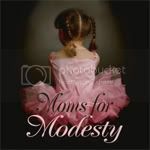 The link above is purely for your convenience and so you can peek inside the book. Those look so nice and comfy!! Your recent entries are all so interesting!